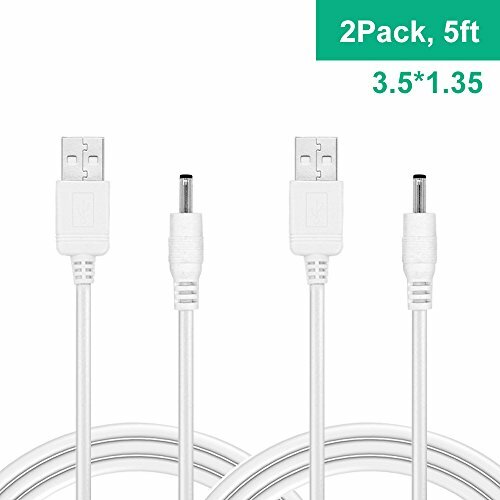 The USB to DC cable enables you to power an external 5V DC device through an available USB 2.0 port on your desktop or laptop computer or mobile power through. for Foscam FI8910W, FI8916W, FI8918W, FI8904W, FI8905W, FI8905E, FI9831P, FI9821W, FI9831W, FI9826W, FI9826P, etc. It also compatible with other brand IP CCTV security camera, like Amcrest, Dericam, Tenvis, Wansview, Vstarcam, EasyN, Wanscam, Escam, etc.